What does a Fine Art Specialist do? A fine art specialist is the art field’s project planner if you will. They may be an artist themselves, or just have a deep understanding and appreciation for various types of art. They can also find themselves doing a host of tasks such as educating the public about art being showcased in their area, leading an art workshop, or even restoring art when asked. Ultimately, fine art specialists promote the value of art in society in a variety of ways. 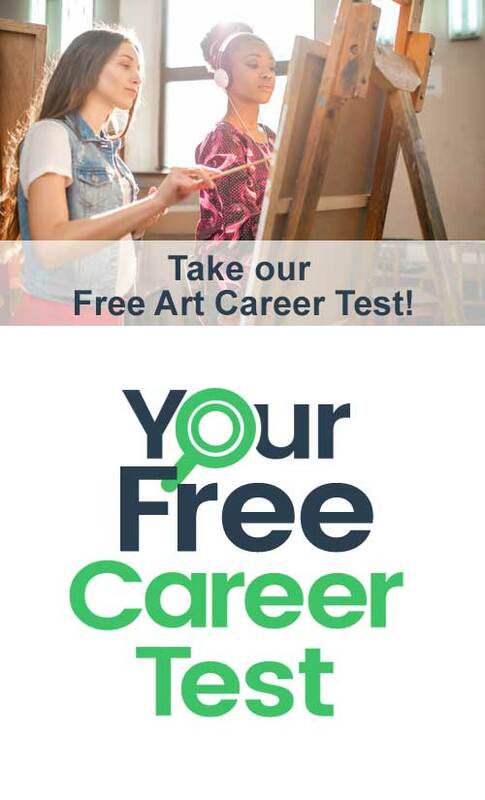 According to the Office of Personnel Management (OPM), a fine art specialist must hold a bachelor’s degree and a master’s degree in fine arts or applied arts to qualify as a fine art specialist candidate. This may be due to the nature of the position, as these specialists must be skilled in project management, educating others, and understanding art on an advanced level. In the U.S. civilian government, the position starts at a GS-5 position and a person can be promoted up from there. GS stands for General Schedule payscale which is used to determine salaries. Since a fine art specialist plans large art projects that will ultimately be placed on display for the public, they must coordinate with a host of people from construction crew, fabricators, artists, facilities management, and more. They must be able to supervise others who are on the project and communicate the status of the project using a variety of methods. These individuals also have a wealth of knowledge about art and leverage this knowledge when considering artist proposals and working with artists throughout the project. Along with working with the artist, they may also do educational outreach to community members about the project or art in general. According to the Office of Personnel Management (OPM), additional duties can include restoring art objects, running competitions or workshops, and teaching one or more forms of art to others. Interview with Kim Baker, Fine Art Specialist with the General Services Administration (GSA). Narrator: The GSA has a fine arts program for placing artwork, like paintings and sculptures in government buildings and courthouses across the country. Meet Kim! Kim: I think it’s important for government buildings to have artwork because they reach a different audience than museums do. Some museums are expensive and not everybody can afford to go. But government buildings people can go into them and anybody can see the artwork there. The favorite part of my job is actually just getting to work with artists. They are able to think in creative ways and able to create works that I could never envision in a place and those works, I think, really just add value to the overall building project and are a real plus for the American public. I worked on a project in Yuma, Arizona for a courthouse there and I worked with an artist named John Bisbee. He created a project called Lion Dandies. It’s a free-standing sculpture, it’s made of these kind of spike like looking large spheres stacked against each other, on top of one another. It was a really, really lovely experience working there. We have a site visit and that’s really fun. So the artist gets to walk the project site, we introduce him to the architect, we introduce them to members of the project team, so they can learn everything they can about the site. That way, they have as much information as possible. They develop a concept that they think is going to make sense for this building and this project site. And if all goes well, the concept will be move forward and the artist will go into fabrication and installation. Once everything is fabricated, we try to have the artist install the artwork as close as possible to the end of construction in the building because we don’t want the artwork to be damaged. I think it’s important to have good project management skills, so just focus on getting one thing done at a time being able to handle a lot of different types of things, being flexible. You have to be prepared for hiccups in a road, you know, no matter how much you plan. It’s important to be a planner to. But no matter how much you plan, there’s always going to be a hiccup so you have to be nimble and quick, and on your feet, and ready to handle it at any time. Office of Personnel Management. Classification and Qualifications. Art Specialist Series, 1056. Art Specialist. Federal Salaries of 2016. Pay Rates for Art Specialist.